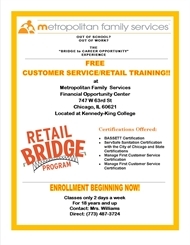 FREE Customer Service/ Retail Program for 18 years and older!! CLASSES ONLY 2 DAYS A WEEK! !